Family Sedan or 4 Door Sports Car? The highly anticipated 2017 Ford Fusion Sport will debut with power figures that rival the previous BMW M5! With 380 pound/feet of torque and 325 horse power this car with a starting price of only $34,350 it is the bargain in sporty sedans! With a 2.7 liter twin-turbo charged V6 the Fusion Sport for 2017 will most likely redefine what midsize sedans are and should be in this incredibly competitive market. 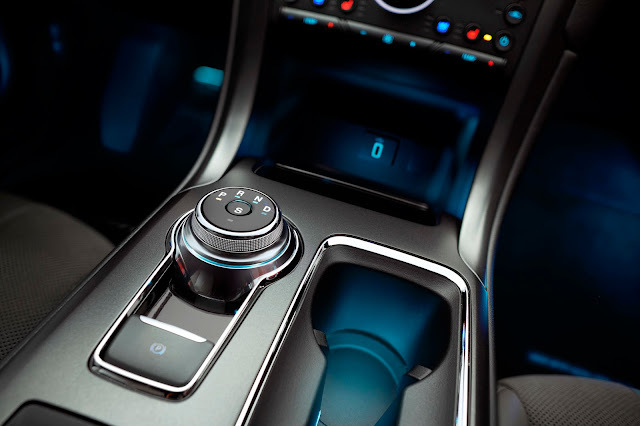 With a load of standard equipment like Continuously Controlled Damping suspension, All Wheel Drive, and a 6 Speed SelectShift Automatic transmission and available with Adaptive Cruise Stop and Go, Enhanced Active Park Assist and Lane Keeping the 2017 Ford Fusion Sport will have all the equipment most think are only available on expensive European cars. The 2017 Ford Fusion Sport brings style, power and an affordability not seen in any midsize sedan ever! Come in to O'Meara Ford and experience what the 2017 Ford Fusion Sport has to offer! The car is looking cool!